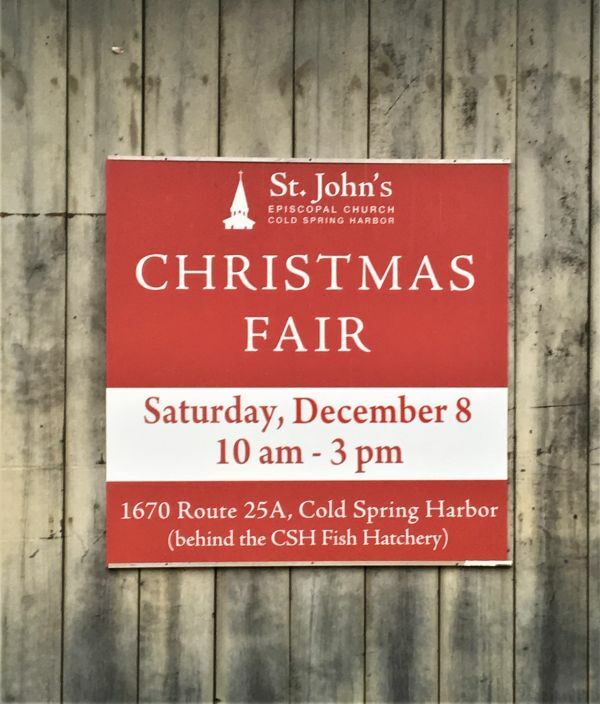 Join the Christmas Fair Committee as they host Coffee Hour after the 10 am service this Sunday, December 2. They will be accepting any last minute donations of jewelry and accessories. Come grab a sign, window flyer, and find out the latest updates for the Fair next Saturday. Contact Anna Wresch or Sue Collins (631-742-8460, [email protected]). Calling all bakers and cooks….have you decided what you’re making for the Christmas Fair Baked Goods & Food Table? Contact Judy Hecker ([email protected]) or Jillian Franciscovich ([email protected]) to let them know what you plan to contribute. There will be lots of fine linens at this year's Christmas Fair, including beautiful damask cloths and napkins to grace your holiday table or give as gifts. If you are interested in helping set up the booth, selling at the Fair or with after-Fair pack up, please contact Nancy Metz ([email protected]).